SG-1 returns through the stargate under fire, and Teal'c collapses with a gaping staff weapon wound to the abdomen. Although the wound is critical, Teal'c is expected to make a full recovery, however he confesses to O'Neill that his weakness has made him incapable of being the warrior he once was. Meanwhile, Daniel begins to have unsettling flashes of memory which seem to suggest that during his ascension, he had been a helpless witness to the capture and enslavement of Bra'tac and Rya'c on a Goa'uld prison world. 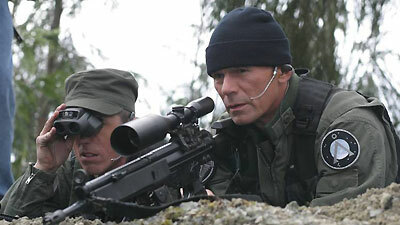 SG-1 contacts Rak'nor for help to locate and rescue Teal'c's son and Jaffa master. Rak'nor identifies Erebus as the likely planet where Jaffa prisoners of Ba'al are worked to death. SG-1 leads a rescue mission to the prison world, and after nightfall, Teal'c and Rak'nor infiltrate the prison camp. Before they are able to make their escape with Bra'tac and Rya'c, however, they are captured by the Jaffa Commander, and tortured. In his weakened state, Teal'c is prepared to give up, and when Rya'c is caught away from his work station and sentenced to die, Teal'c offers to take his son's place. The Jaffa Commander willingly accepts the opportunity to make an example of the shol'va. O'Neill needs a distraction to effect a rescue, and Carter and Daniel plant explosives to sabotage an anti-gravity dry-dock near the camp. Just as the Jaffa Commander prepares to execute Teal'c, an explosion sends the Goa'uld ship in dry-dock crashing to the ground, and the prisoners organize a revolt, supported by mortar and rifle fire from the SG teams. In hand-to-hand combat, Teal'c kills the Jaffa Commander, and the camp is liberated. O'Neill informs Teal'c that he officially has his mojo back, and both Teal'c and Daniel, having faced their demons, come to accept that their decisions have made them a part of something important. After Ba’al led the allied fleet against Anubis at Kelowna, his empire expanded further and faster than anyone expected. Ba’al now controls the combined forces of the "United Alliance of the System Lords" against Anubis. According to Greek mythology, Erebus is a place where condemned souls pass as soon as they die. Erebus recently came under the control of Ba’al. It is used for the construction of ha’tak vessels and the purification of the naquadah to build them, using forced labor of Jaffa prisoners of war. The Ambush of Kresh’taa is the name given to the meeting of the rebel tribes in which 106 warriors were slaughtered leaving only Teal’c and Bra’tac alive [see "The Changeling"]. SG-1 was accompanied by SG-2 and SG-3 on the rescue mission to Erebus. "Kek" means both death, and weakness. Without a symbiote, kelno’reem is unnecessary, and Teal’c has discontinued the practice, although it does make him feel better. Why go to all the trouble to invade a planet that's two-thirds water? Colonel O’Neill has officially informed me that I have my mojo back.